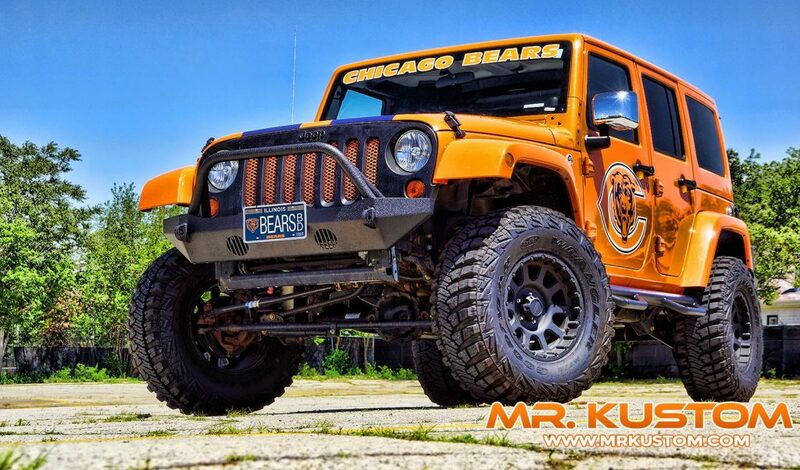 This attention getting 2015 Bright Orange Jeep Wrangler received a Special Edition Chicago Bears themed makeover. 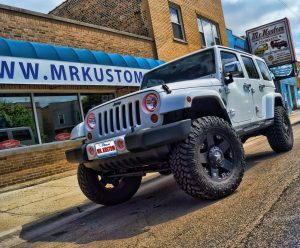 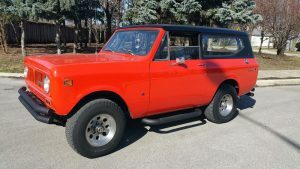 First the suspension was lifted with 3” springs and new shock absorbers, to make room for the larger 35” Good Year Wrangler off-road mud tires. 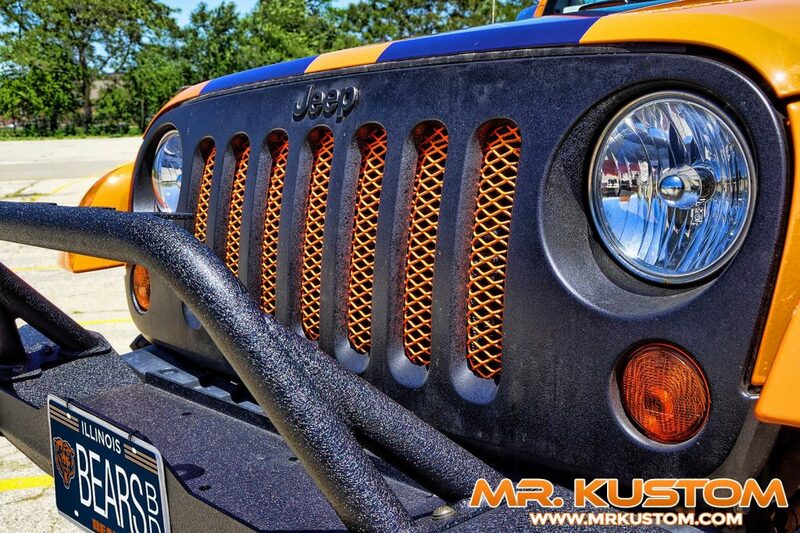 Next to extend the off-road look front and rear bumpers, and side step bars, in a black textured finish were added. 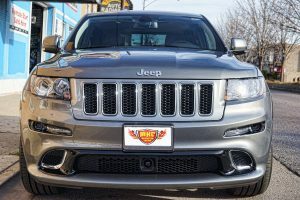 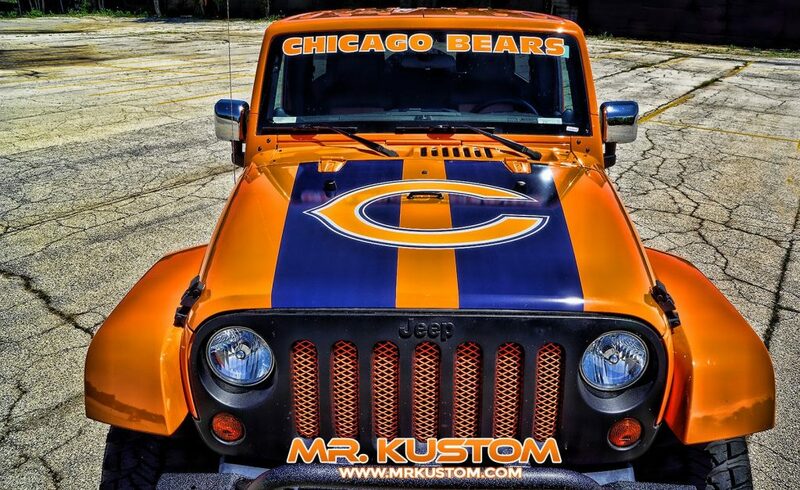 A custom Chicago Bears logo themed graphics package was designed and wrapped around the vehicles front hood, rear door, side doors, and windshield. 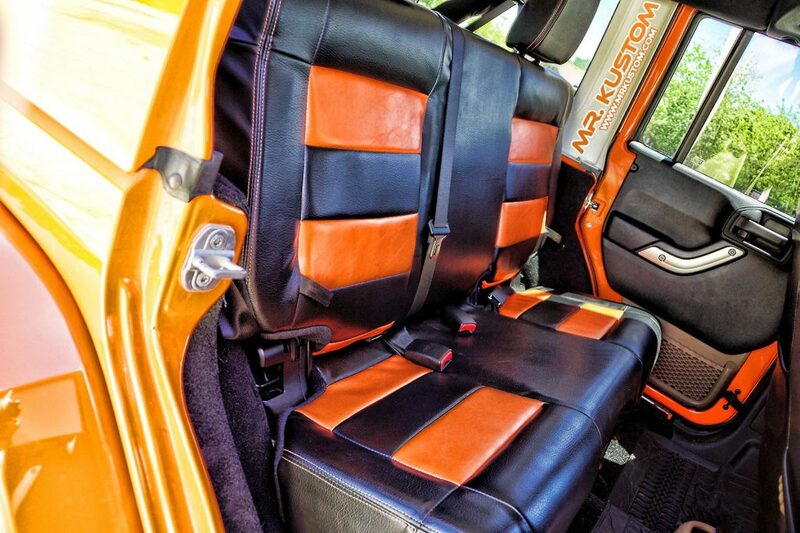 The orange theme was also added to the interior with black and bright orange colored neoprene seat covers. 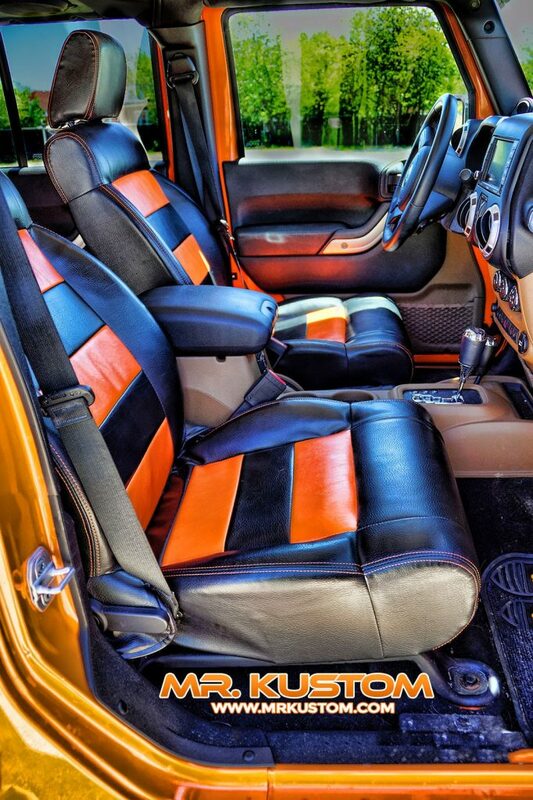 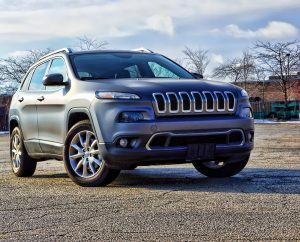 To listen to the football game in style, and for the ultimate in Jeep Wrangler sound systems. 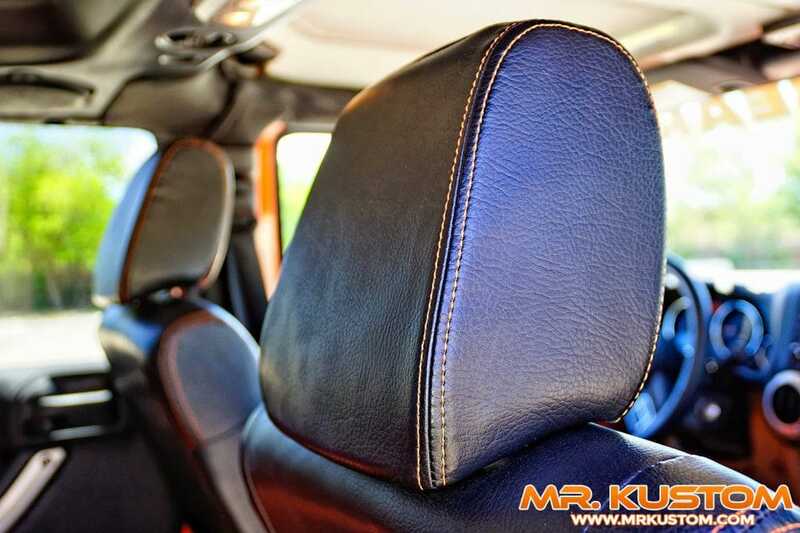 An Alpine 8” Screen Navigation Receiver was added to the dash with larger door speakers, and a rear subwoofer for deep bass. 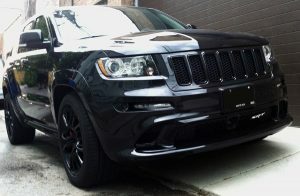 To finish the total package, Dark Window Tinting was added to keep the interior cool and personal items protected.